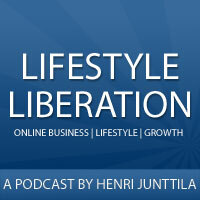 In this episode you’ll discover how Henrik built PositivityBlog.com to a behemoth at 50,000+ subscribers. Oh, and you’ll also discover how he makes a full-time living blogging. We chat about his journey, the mistakes he made, and what he’s doing right now. We talk about product creation, traffic generation, content creation, and many other fascinating and interesting topics. What you’ll notice when you listen to this interview is how doable this is, if you’re ready to put in the work. There’s no magic here. Just plain old doing what works. With all that said, let’s move on to the interview.